Cross-Laminated timber (CLT) is a wood panel where three, five and seven layers of wood lamellas are glued together at right angles to form a structural panel. CLT panels can be used to build high-rise office and residential buildings, schools, hospitals and long-span industrial facilities. CLT panels inherently have dimensional stability and high rigidity due to effective orientation of fiber. CLT panels are fast and easy to install, offer design flexibility and low environmental impacts. 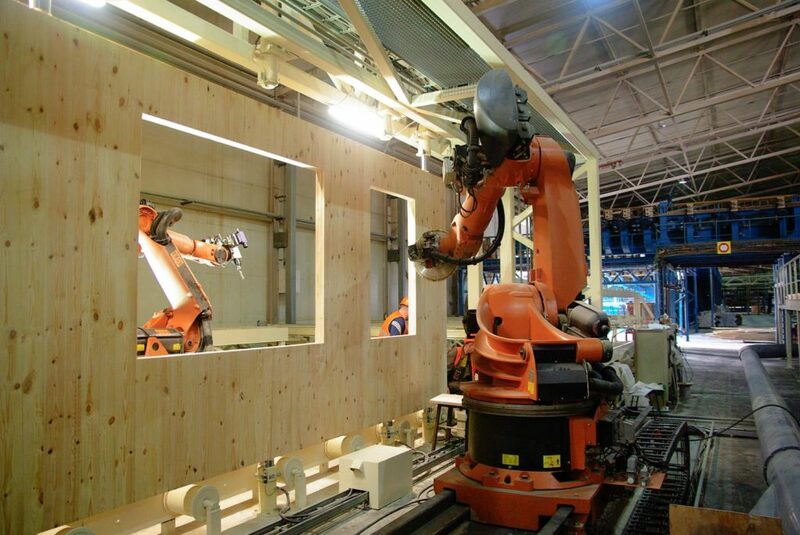 Gaujas Koks offers CLT panels up to 3 meters wide and up to 12 meters long. Standard thicknesses are from 60 mm to 200 mm, but panels up to 500 mm thick can be produced. An environmentally friendly polyurethane adhesive is used to fabricate these panels. *in each layer up to 10% of the total width of the layer may deviate from the declared strength parallel to the grain by not more than 35%.